I walked to work this week, a photo by arahbahn on Flickr. This is definitely an autumn for gold-hued leaves. This week, anyway. 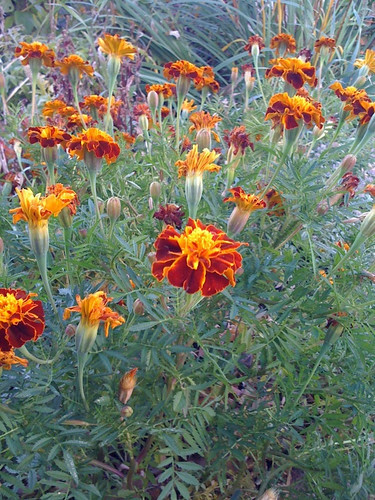 These aren’t the marigolds that we grew this summer, which are flourishing right now, but they are very similar. LOVE them!